I love a good Old Navy Sale. Right now you can take 50% off Swim, Dresses, Shorts and More for the whole family. If you need some swimsuits for spring break for the summer, grab them now. 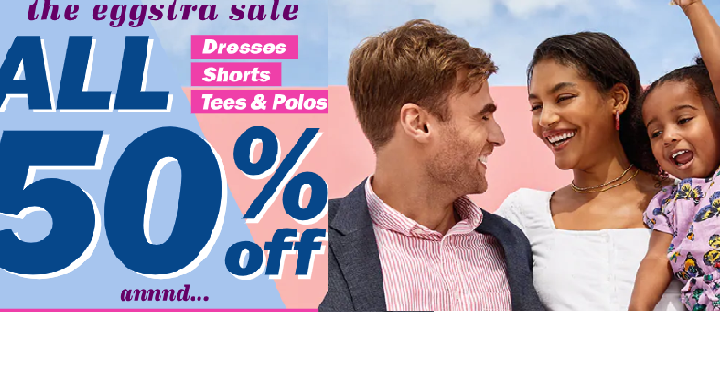 You can also shop for Easter dresses and save that 50% off. So many great choices. Get to $50 and you can score FREE shipping, or choose in-store pickup.